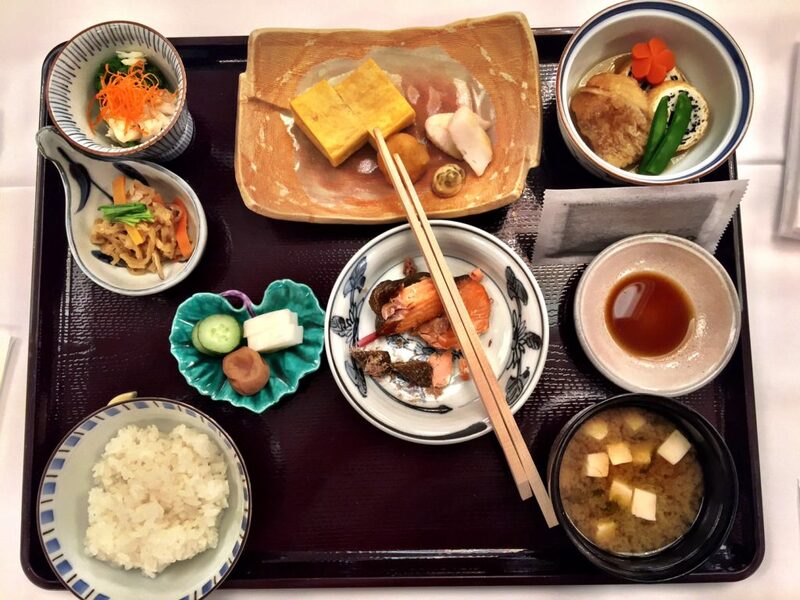 ZEPPIN(絶品) #3/WACHOSHOKU(和朝食) Japanese Breakfast Rules! Did you know that in 2013, Japanese Cuisine, commonly known as “Washoku(和食)” was named a UNESCO intangible world heritage item? For our third Zeppin 絶品 series, we are looking at Washoku, in particular the most important meal of the day, a Japanese breakfast “Wachoshoku(和朝食)”. 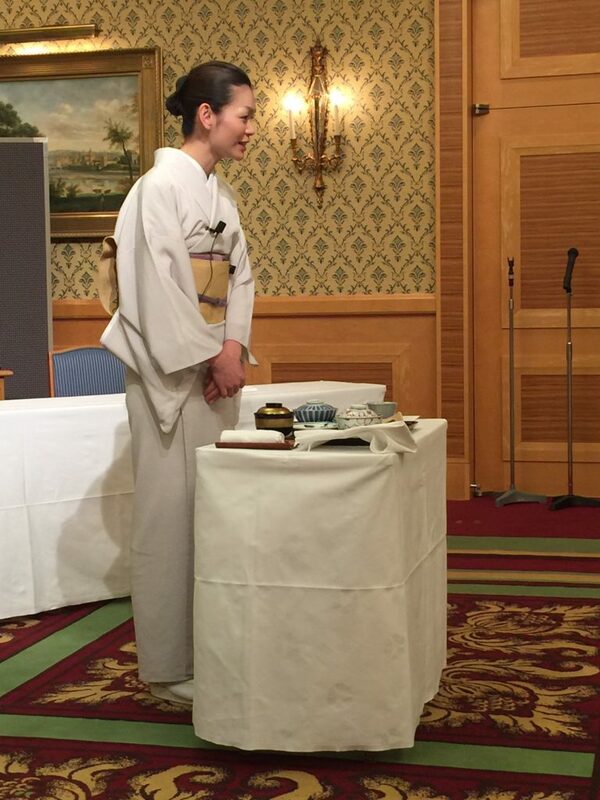 JSRC attended the Wachoshoku Seminar at The Hotel Okura where the benefits of Wachshoku were discussed and manners in how to consume them were bestowed upon the participants before a mouthwatering meal from Yamazato Hotel Okura was served. According to speaker Prof. Teiji Nakamura of Kanagawa University of Human Services University President, who specializes in nutritional science, Japanese dietary trends have undergone enormous change after WW2. Before and after the war Japanese people suffered from lack of food and a staple overemphasis resulting in various kinds of malnutrition. However, as the economic situation and short supplies of food improved after the war, there was a large scale effort for implementation of nutrition education and equal distribution of food. Dieticians were stationed in schools and school lunches became a nationwide social dietary experiment and wheat and milk imported from the US were incorporated. The westernization of diet is a universal tendency in economically advanced countries and studies show a correlation with lifestyle diseases since it tends to increase intake of fat and calories. Japan was no exception and while many of the malnutrition issues were solved with the introduction of the western diet, the downside was the increase in the intake of calories, fats, vitamins and minerals resulting in a rise in obesity, hyperlipidemia, high blood pressure, diabetes and arteriosclerosis. This trend lasted until the Heisei Era which started in 1989, when people’s awareness started to turn towards a healthier diet. Since then Japan has come to boasts the lowest rate of heart disease in the world and the rise in cholesterol level has more or less stopped during the 1990-2000 period. Still, with the super alimentation, deviation in diet choices along with an irregular eating schedule, lifestyle disease is a widespread concern. Prof. Nakamura also touched upon the effects of skipping breakfast, emphasizing the importance of delivering energy supply to the brain and nervous system in the morning, which leads to higher consumption of energy throughout the day, leading to lesser likelihood of inducing body weight gain. We were served a delicious meal of hot rice, cold broiled salmon, assorted pickles, sweet egg, dried seaweed and hot miso soup. I thought it was delicious. JSRC editor, Jake Adelstein, nibbled on the fish and looked like he wanted a cheeseburger. 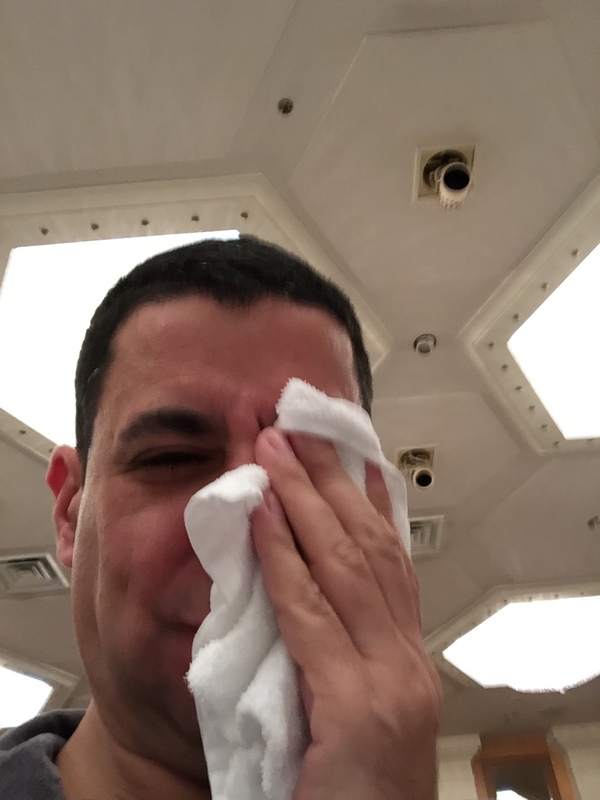 Even after there was a wonderful lesson on proper Japanese table manners, Adelstein proceeded to wipe his face with the oshibori (hot towel) and hold his chopsticks like he was getting ready for a knife fight. It was an amazing meal—both a pleasure to the palate and the eye. Others tend to agree. Mandy Lynn from Metropolis, the number one international free magazine in Tokyo, graced us with a presentation based on a survey on Wachoshoku which found that it is quite a hit amongst tourists too. From Western tourists, the meal garnered comments such as “It was well-balanced, tasty, healthy, beautifully served and I felt energized after I ate it”, “Felt much better than eating a heavy western breakfast”. Chinese and Korean tourists also raved “Japanese-style rice and the side dishes were extremely delicious”, “I usually do not eat fish for breakfast because of its smell. But it did not smell at all and was cooked just right.” It seems, if there is one thing Japan, China and Korea can agree on, it is the tastiness of a Wachoshoku. However, it could be pointed out that homemade Japanese food is a luxury. Japanese cuisine has always revolved around a bowl of rice, surrounded by the wide array of side dishes that accompany it. As can be imagined, it takes a great deal of effort and time to prepare five side dishes. With the growing child poverty, working poor population in the country, it seems unrealistic to ask a working parent on a tight budget to buy a variety of ingredients and spend an hour in the kitchen every morning. Unless, things improve, Japanese breakfasts could soon be a thing of the past in a Japanese household. That’s not, historically speaking, accurate. Rice isn’t the majority of grain produced in Japan until very recently, and porridges and gruels were much more common foods than steamed grains. Even if you restrict the discussion of ‘cuisine’ to high cuisines, the ‘rice and side dish’ model still isn’t a permanent fixture of the culture and was often violated in practice even when it was more or less accepted. Good to know about this delicious japanese cuisine….